On March 19th 2019 the members of the Global Shippers’ Alliance convened in Amsterdam for their annual meeting. They agreed on maritime transport, air cargo, e-commerce, and environment. In 2019, they will also further strengthen global cooperation amongst shippers joining efforts with Global Shippers’ Forum. 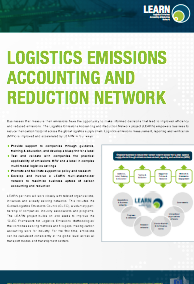 Sophie Punte of Smart Freight Centre presented on the GLEC Framework as the universal method for logistics emissions calculation as well as the GLEC Declaration for standardized reporting that was developed as part of the LEARN project. She gave examples from companies in Europe, US and Asia to demonstrate that shippers everywhere can take action to report and reduce emissions.